Two thoughts came to mind when I was standing at the corner of Barrington Street and Blowers and waiting for the parade to come my way. First, that this section of Barrington is marked by Venus Pizza and Venus Envy. and second, that I’m probably not the first to realize that. 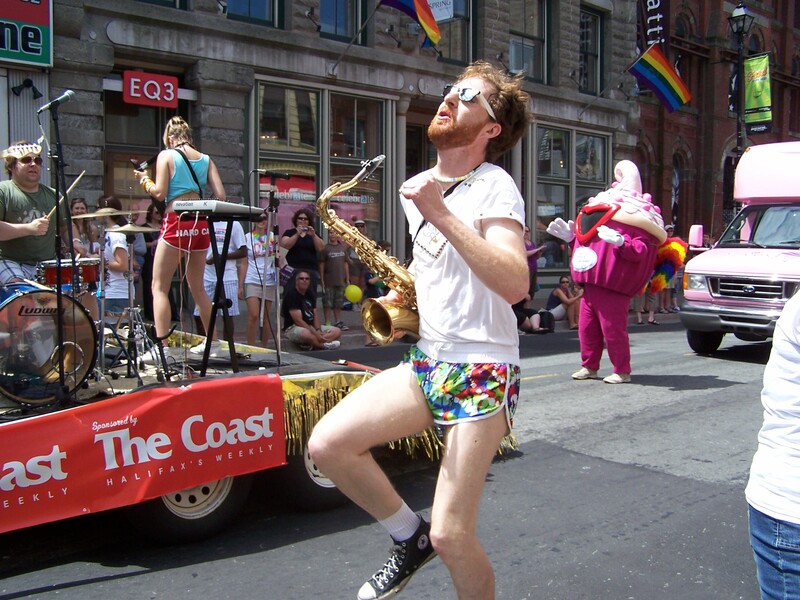 Once things got going, I got to thinking about the differences between parades and marches. There were people marching in the parade, that’s for sure, but I’m guessing that things are a little more jovial today than they were twenty years ago. 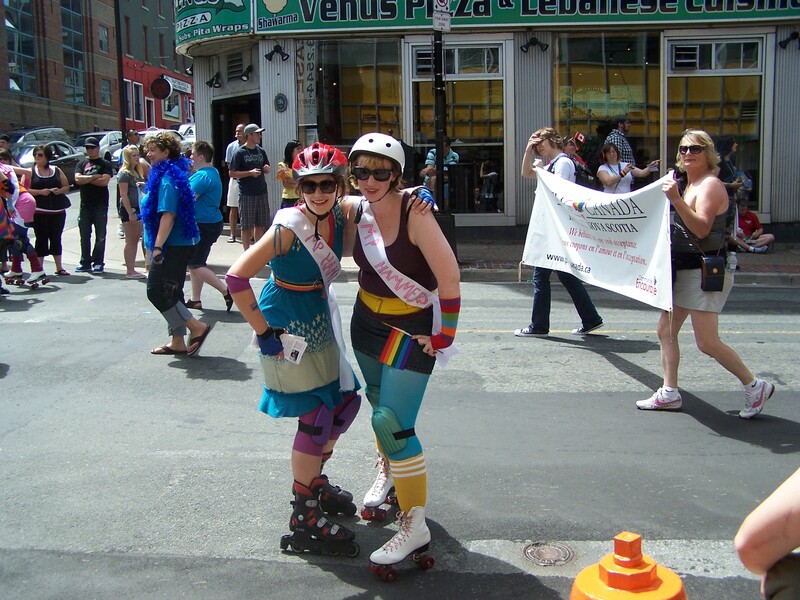 NDP MP Megan Leslie and friends dressed up in total roller derby regalia, as the MP Hammers. Finally, there were no bag pipers at this parade. Bagpipers are normally a sine quon non at parades in Nova Scotia. I did see some kilts, but that’s as far as it got.